Marriage is sacred. It’s a loving arrangement that allows two individuals to express their emotions without reserve – unselfishly. This arrangement should be upheld and respected. Sadly, many marriages hit the bucket because one party, or both, refuses to abide by specific rules or principles. 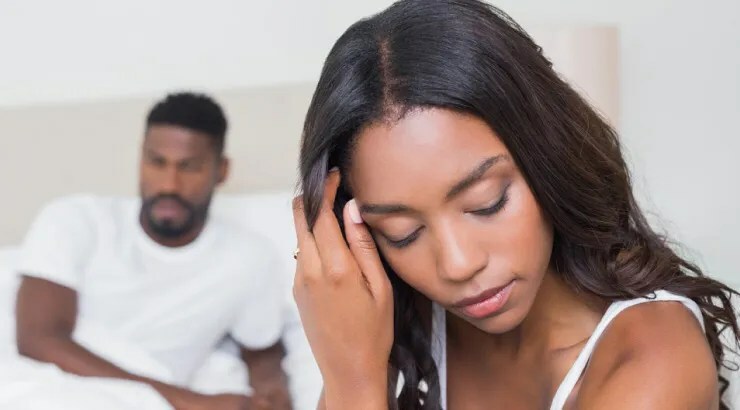 If you’re newly married or you’ve been going at it for years, here are marital secrets that you should never ponder discussing with friends or relatives, regardless of how close you are. Marriage can be a sweet touch to the heart and soul. However, when people fail to compromise and forgive, it can be nasty. Couples will have marital problems. Two imperfect people under the same roof do not spell ‘perfection’. Never anticipate your marriage to be a bed of roses or sweet honeycomb all the time. Teeth and tongue will meet. If you’re experiencing misery within your marriage, let it be confined within the walls of your bedroom. No one needs to know. Try to rectify the matter with your mate instead of galloping to friends or relatives when the heat and pressure are on. While many friends do provide sound and mature counsel, others might coerce you into doing something you’ll later regret. In most cases when the clock strikes ‘problem’, spouses, under the strong influence of friends are more inclined to divorce. Pitching divorce is not a solution. It creates more problems, especially with children involved. Keep your marital woes undercover. Work things out with your mate and not amongst friends and relatives. *It’s of interest to note that if you’ve tried everything in the book but cannot seem to reconcile things with your mate, it might be best to seek counsel and advice. This aspect of your marriage should never be discussed with anyone, PERIOD! Too many marriages fail because women brag about how ‘handsomely’ taken care of they are. The aim of this post is not to chastise women, but too many ‘best friends’ take off with their girlfriend’s husband, because they heard they were ‘blessed in that area’. No! No! No! Females, please build fences around your marriages instead of breaking down those walls. Fences or barriers are crucial. They do have their purpose. They’re there to keep your husband in while keeping those sharks out. To men: Stop rehashing to the guys about your wife. That’s just unethical and straight up wrong. If you want something to chat about, talk about how she labors to get your clothes cleaned, ironed and properly attired. Talk about how well she cooks and how she has your back no matter how hard things get. Real and decent husbands laud their wives instead of spreading intimate and delicate details. Some relatives and friends are just too darn curious. You know what they say… “Curiosity kills the cat”. There’s some truth in that so if you’re badgering your friend about how much money she or her spouse makes, you need to get a hobby and stay the hell out of their bank accounts. If you consider what you make private then hey… let it stay that way. Whether you make a wad of cash or a penny monthly, that’s top CIA Intel and it should remain indoors. No one needs to know if you’re well off in the pocket or if you’re struggling to make ends meet (in some instances if things do get bad, it’s best to talk to a relative or ask for help) However, do not make discussing your family’s income casual talk. On a grand scale, men loathe the concept of expression. This form of expression bears nothing on sports or practical solutions to problems but rather emotions, real deep-rooted emotions. When a male opens up to you as an individual, it takes a lot out of him. It’s not something men find seamless to do. Can you imagine how cut he’d feel, knowing that you’ve been betraying his emotions with your girlfriend next door? Think about how awkward he’d feel. Females tend to share too much and they need to learn to keep their mouths closed, especially when it comes on to discussing their man’s emotions. Sadly, people aren’t perfect. They mess up, big time! However, if you or your mate has been unfaithful in the past, there’s no need to run and holler to friends. You’ll need comfort and encouragement during that dark period, but you don’t necessarily need to tell the guys or girls that Ronnie or Brittany had an affair. That will only complicate things. In fact, what are the odds that your friend encourages or advises that you seek a divorce? You’ll have all rights to make that decision if you desire, but not under the whispering and sweet-mouthing of friends. If you ever decide to divorce because of an infidelity, it should be your resolve and not friends or relatives. Too many people divorce only to subsequently feel bitter remorse. While you don’t keep your relationship with your spouse as a secret, you need to make your private affairs ‘PRIVATE’. 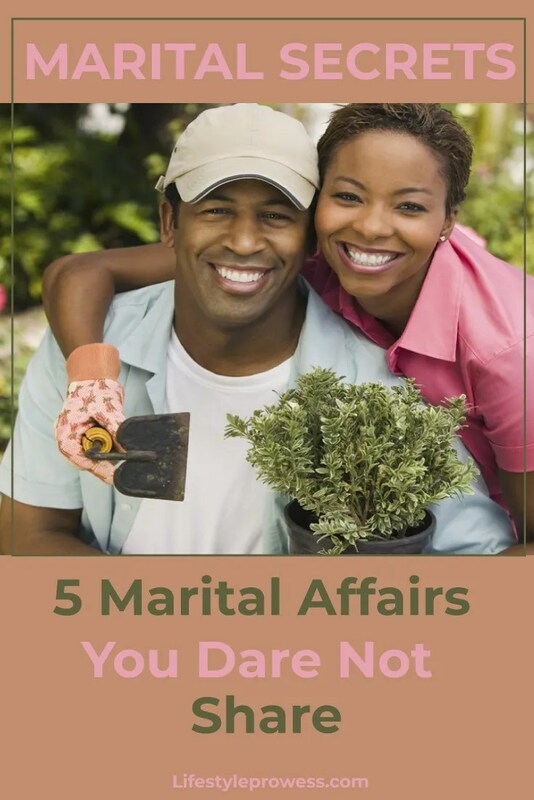 Implementing the aforementioned affairs that you dare not share will take your nuptials far and bring you closer to your mate. If you find that you need to make improvements, do so swiftly and maintain those affairs within the confinements of your home. 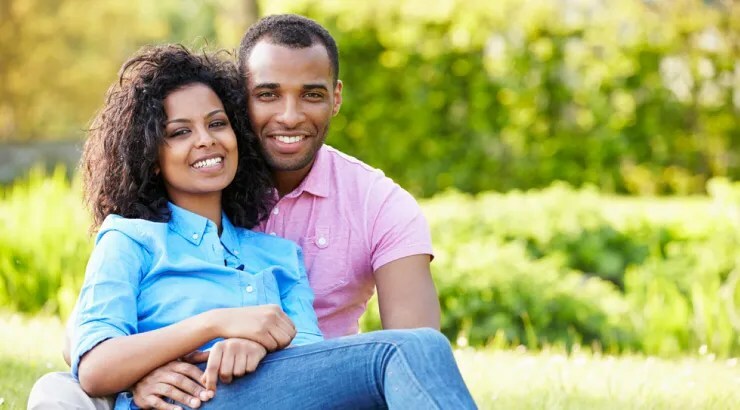 If you hold true to these marital secrets, your family will benefit immensely. I didn’t know this when I first got married and had to learn it the hard way. I certainly wasn’t the worst case, but I’m glad I’ve learned better. I think my weak point is in the emotional category; things that I don’t mind others knowing about MY emotions are things my husband would be very sensitive about. Thank you so much for reading the article and leaving a comment. Marriage is truly wonderful and should be taken seriously. All of us can and have to learn how to deal with emotional things. Men are emotional beings so we should handle them fragile.